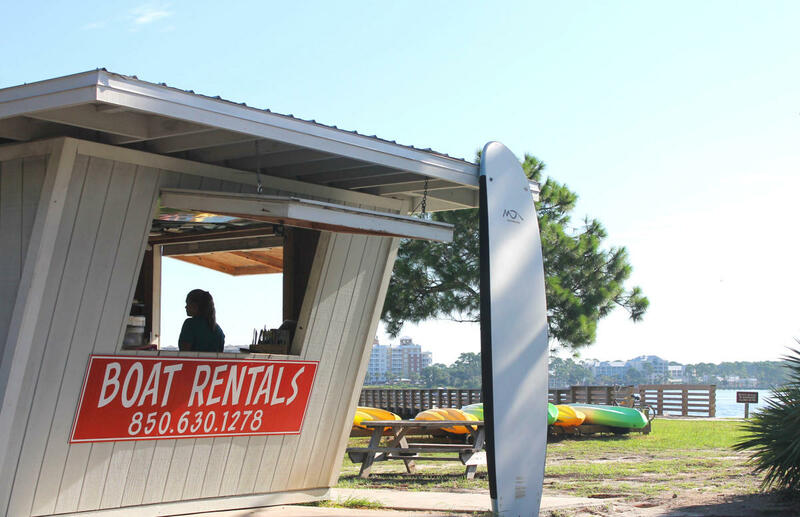 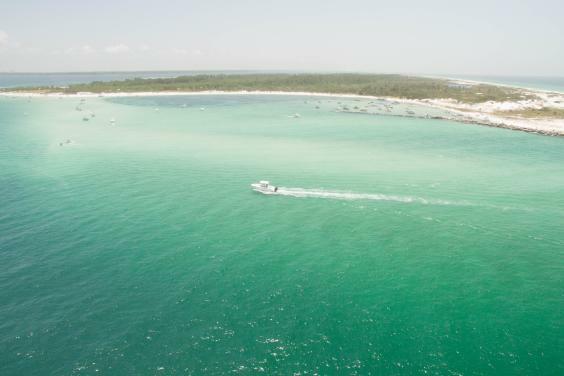 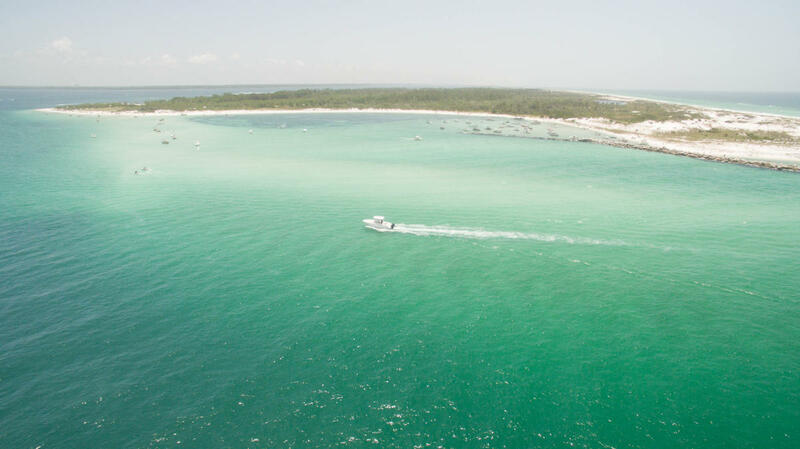 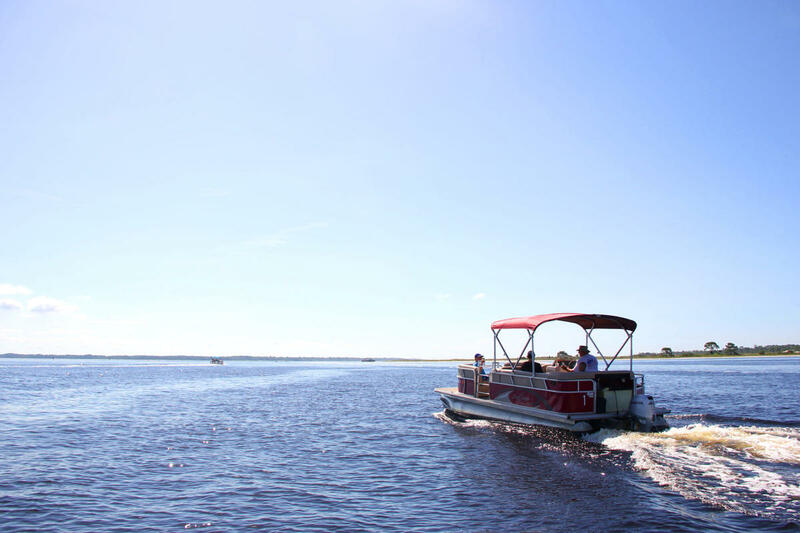 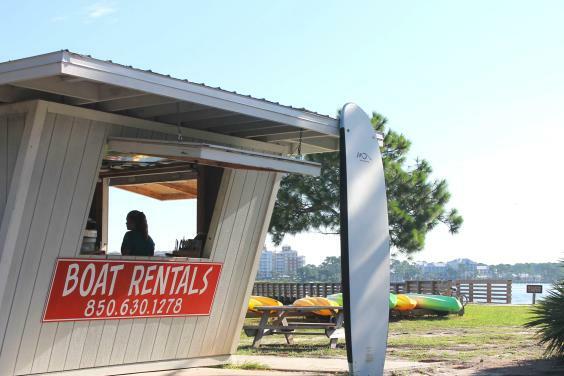 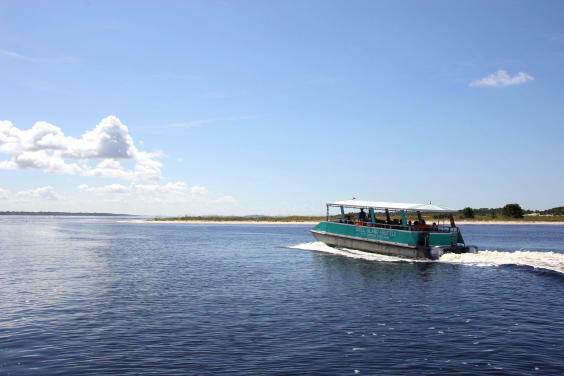 The Official Shell Island Shuttle carries passengers between St. Andrews State Park and Shell Island every 1/2 hour, 7 days a week from 10 a.m. to 4 p.m. We also offer a snorkel package and kayak rentals. 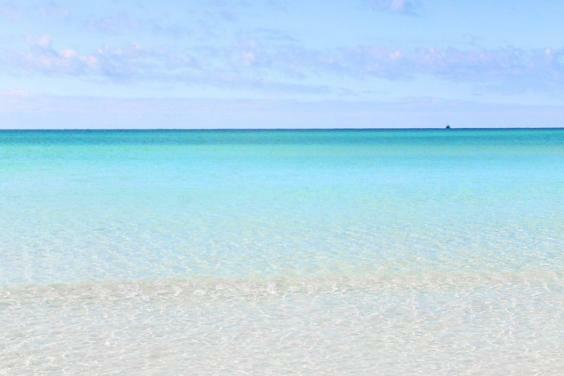 STAY SALTY Y’All!! 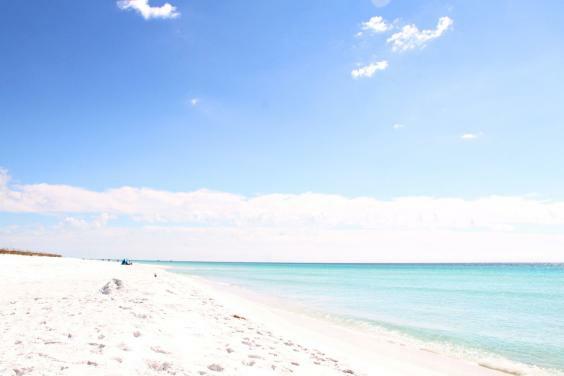 STAY ALL DAY OR JUST ONE HOUR!! 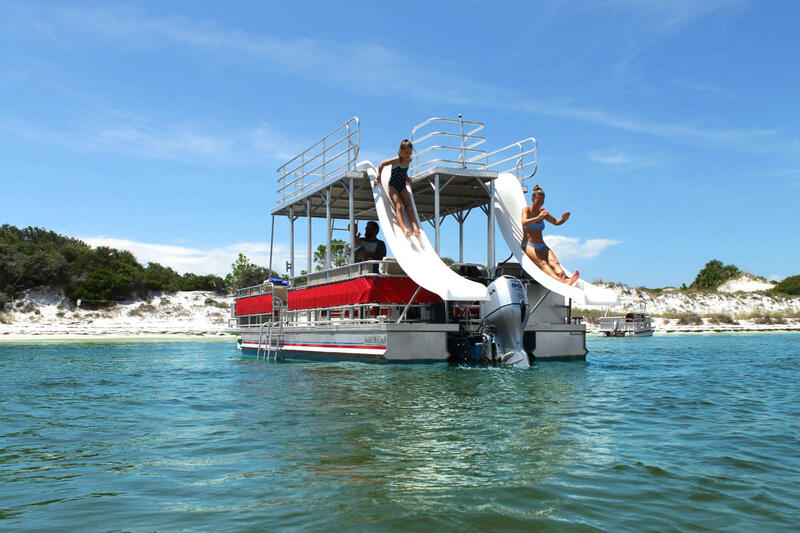 DURING SPRING AND FALL CALL 850-235-4004 FOR HOURS OF OPERATION. 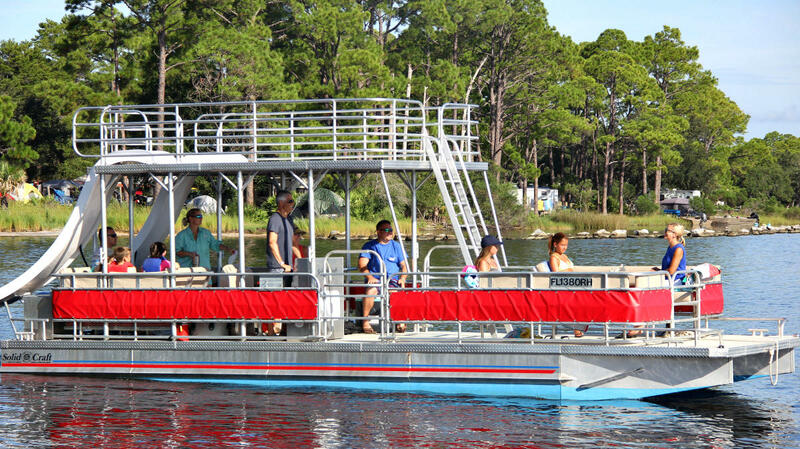 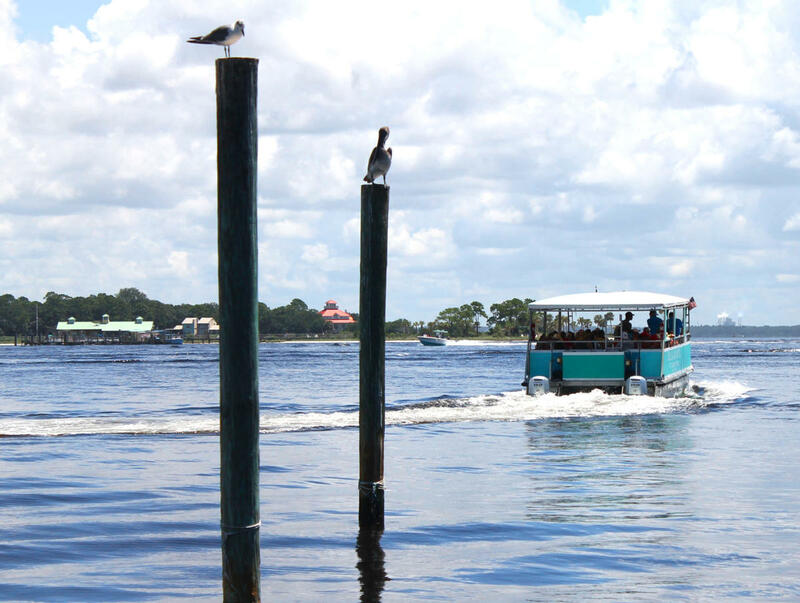 The Shell Island Shuttle is the easiest, safest, and fastest way to get to Shell Island. 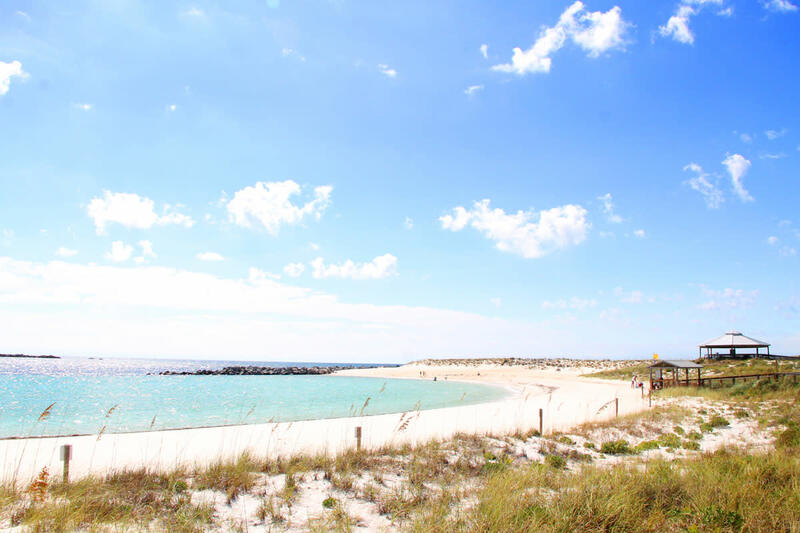 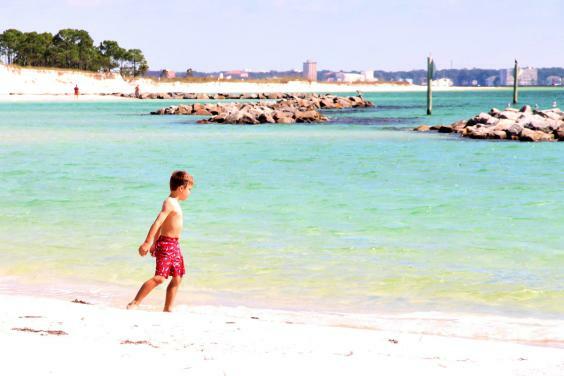 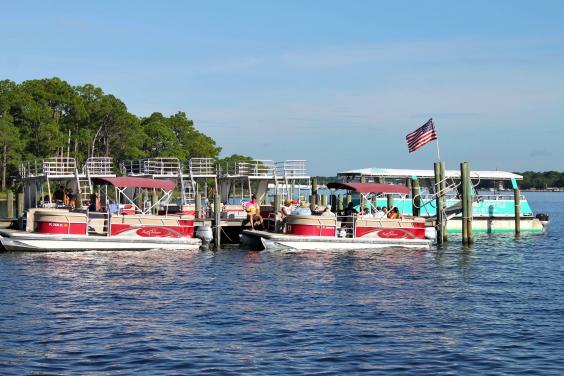 We drop you off on the best spot of Shell Island inside of the Jetty Rocks. 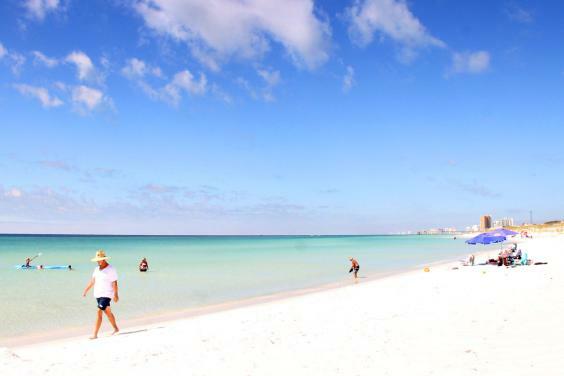 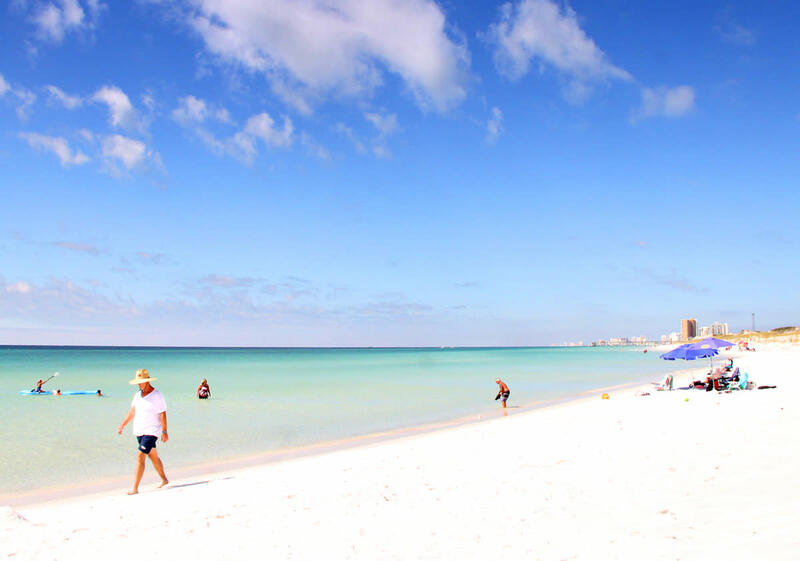 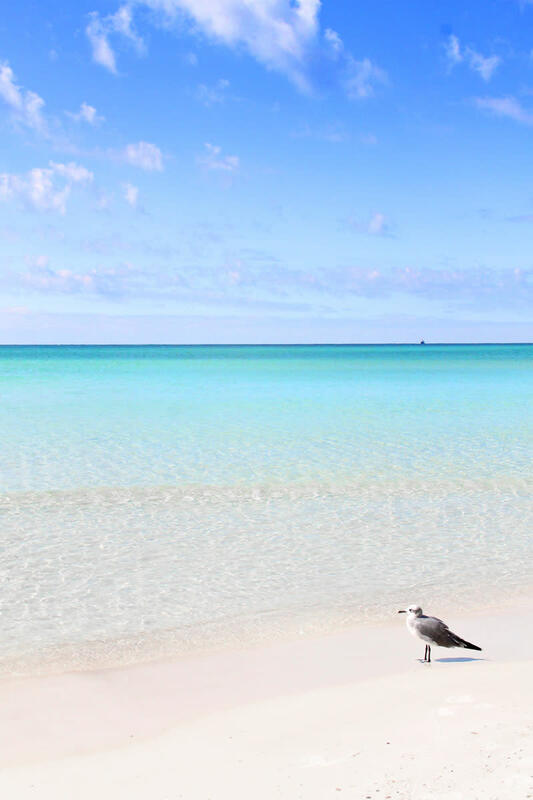 From there it is just a short walk over to the pristine white sandy beaches and the emerald green waters of the Gulf of Mexico. 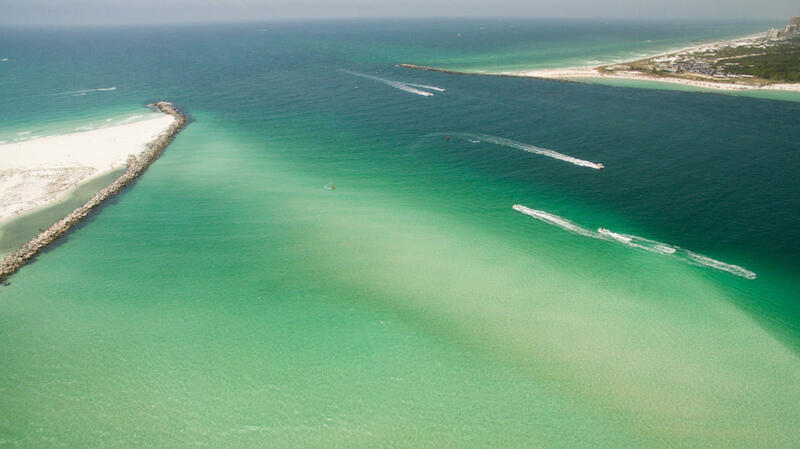 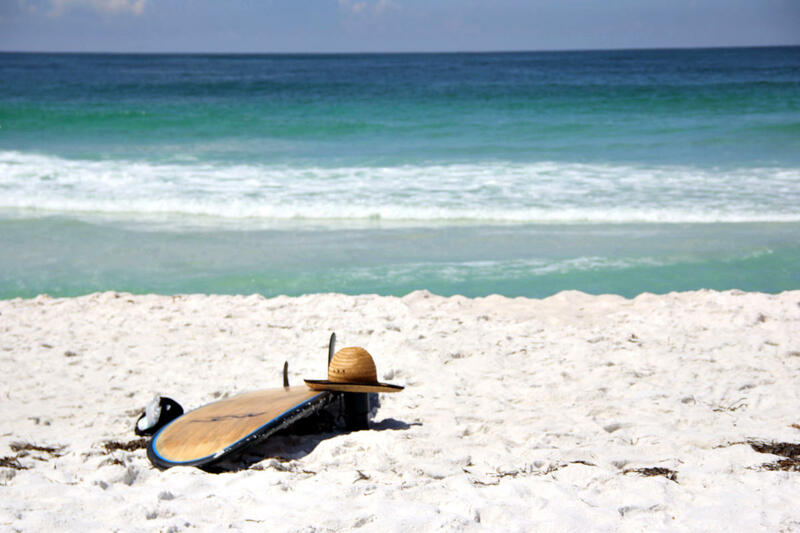 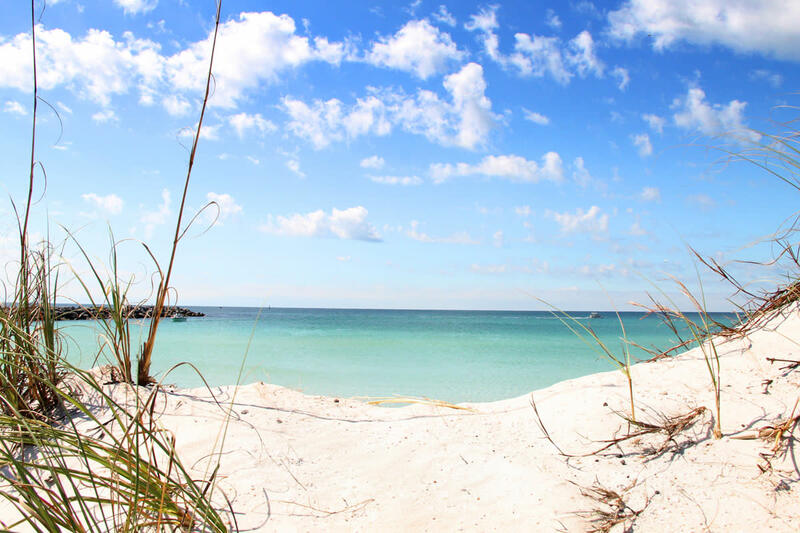 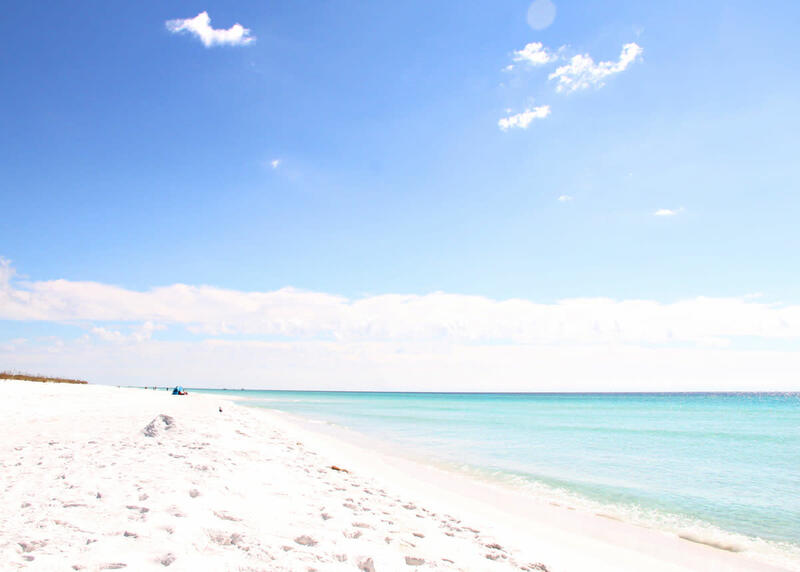 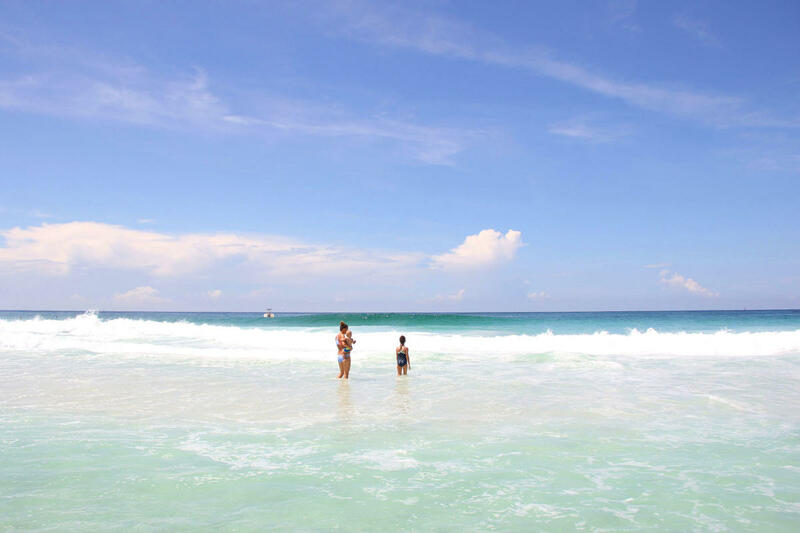 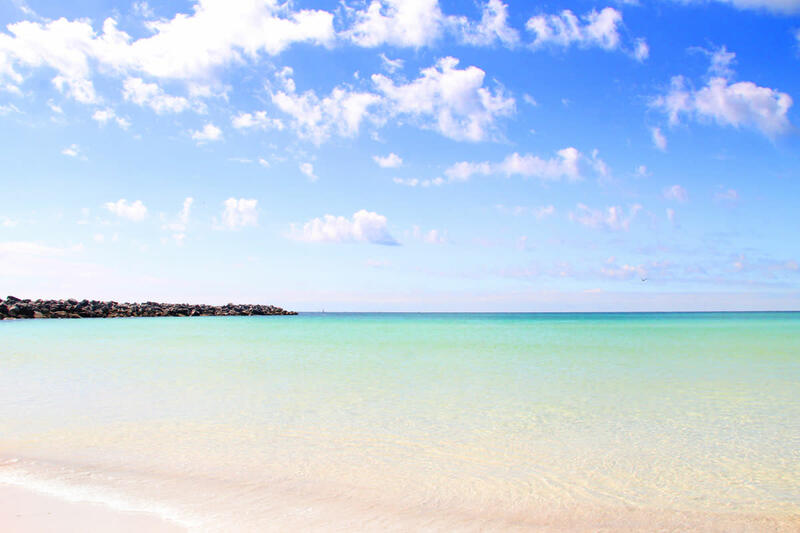 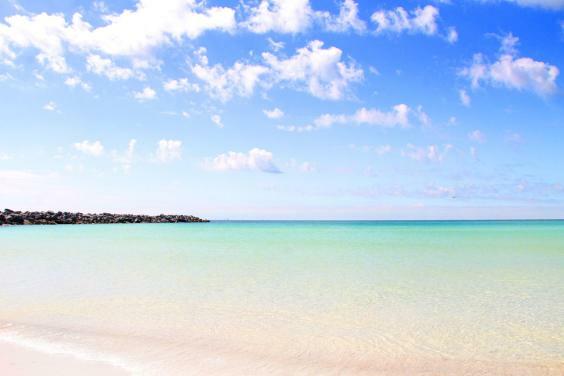 No trip to Panama City Beach, Florida, is complete until you’ve taken a day trip to Shell Island. This natural, undeveloped 700-acre barrier island is just a short boat shuttle ride from St. Andrews State Park. 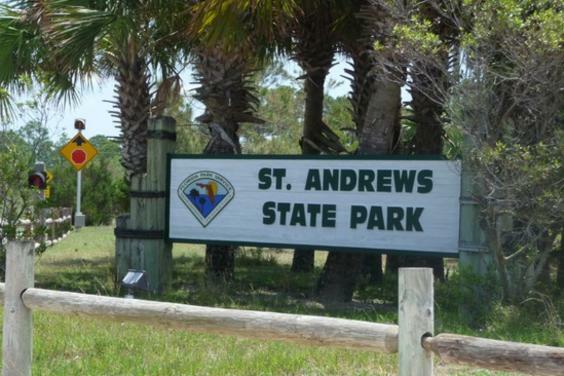 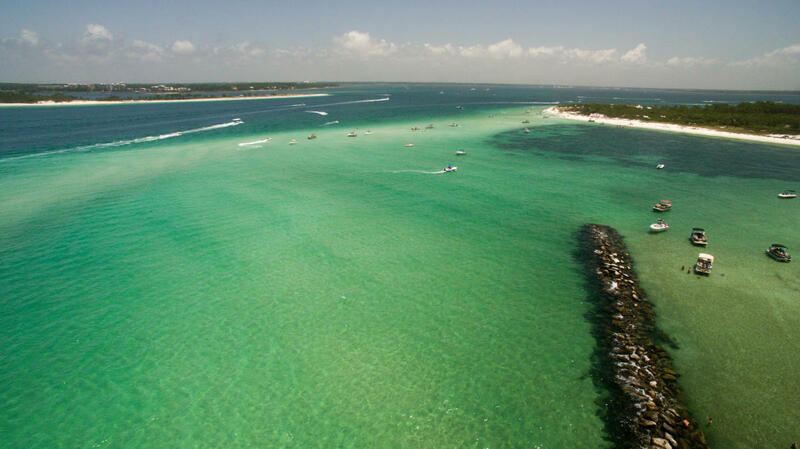 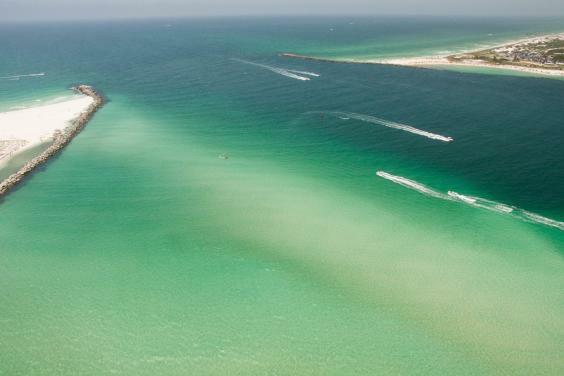 The island , which lies between the Gulf of Mexico and St. Andrews Bay, is actually a part of St. Andrews State Park in Bay County, Florida. 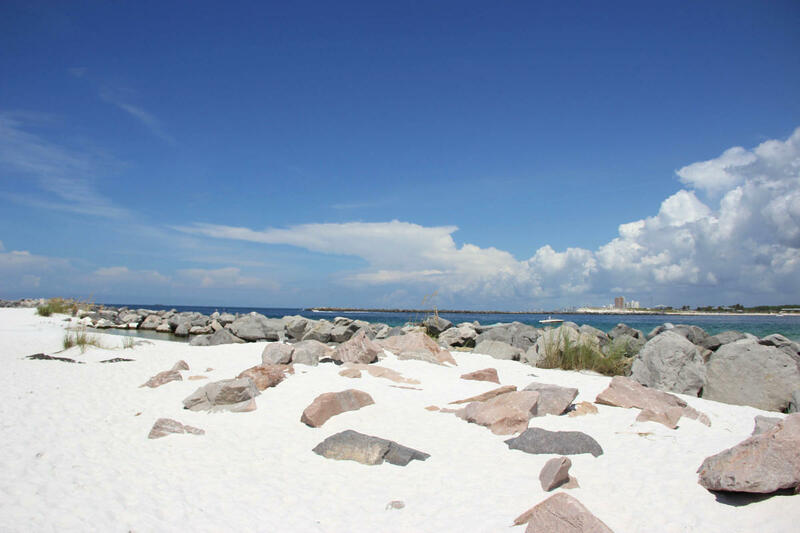 Relaxing on the sugary white sand on the beach of Shell Island, snorkeling, nature walks and shell collecting are just some of the ways you can enjoy this pristine wildlife sanctuary. 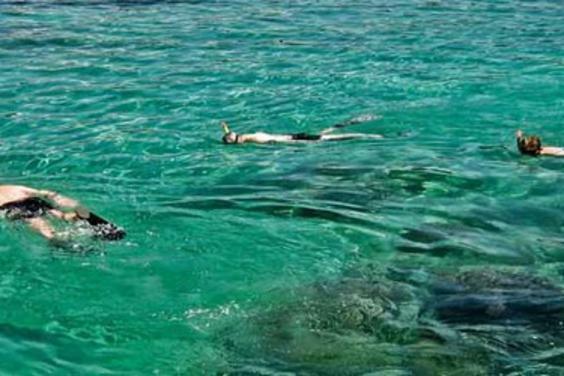 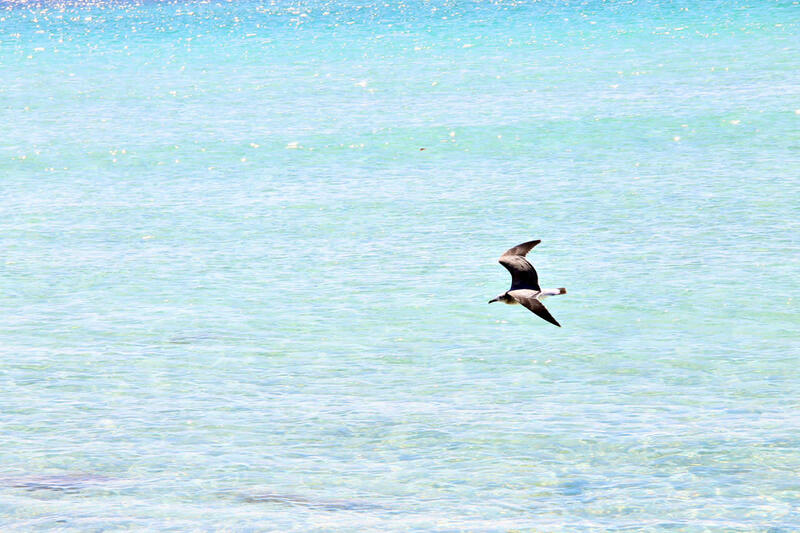 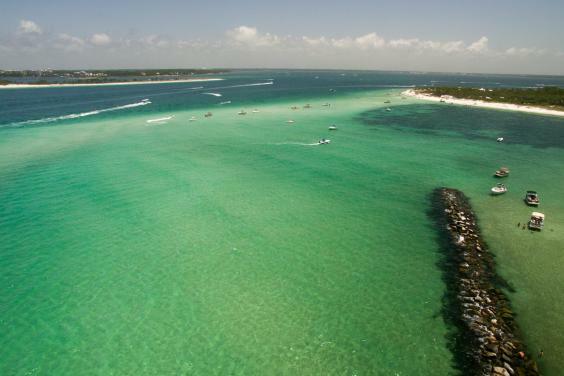 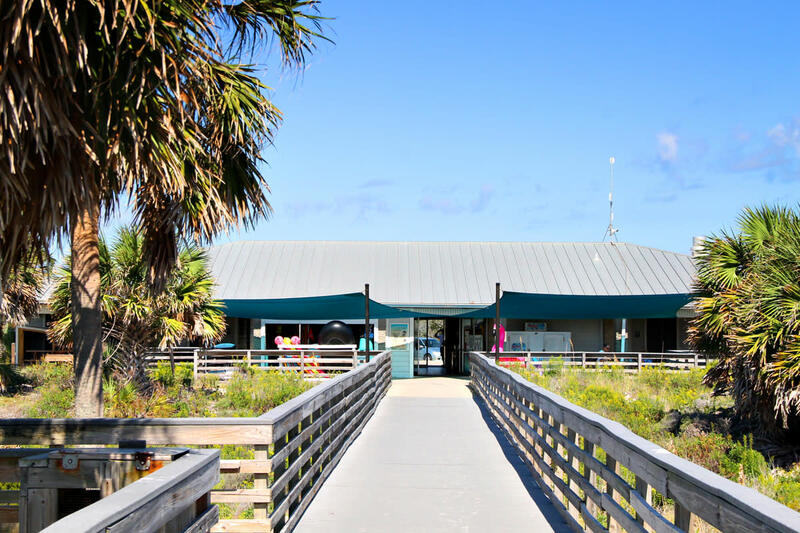 Shell Island is home to one of the world’s highest concentrations of bottle-nosed dolphins, and the island’s unmatched beauty and abundant wildlife make an enjoyable and memorable way to spend the day. 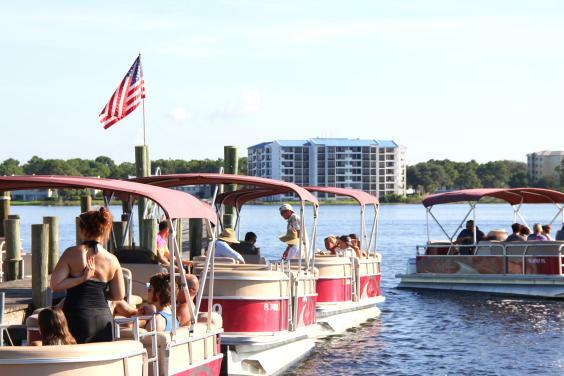 The Official Shell Island Shuttle is the fastest way to get to Shell Island. 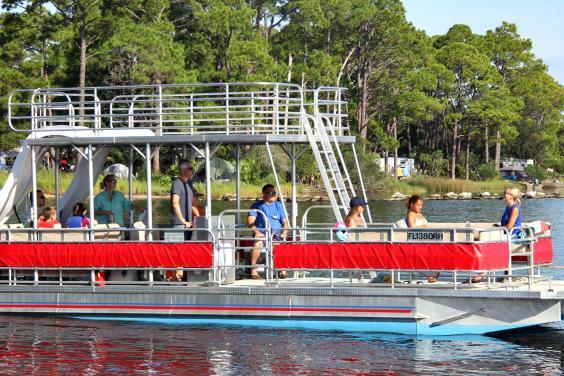 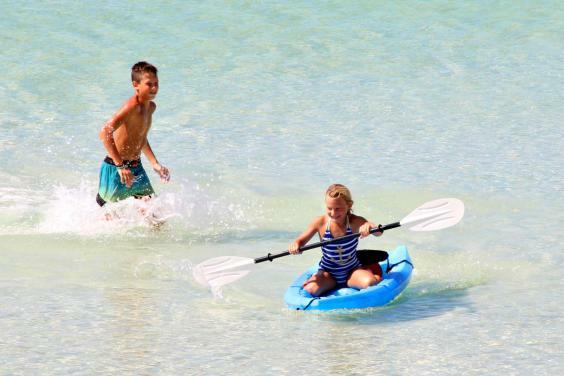 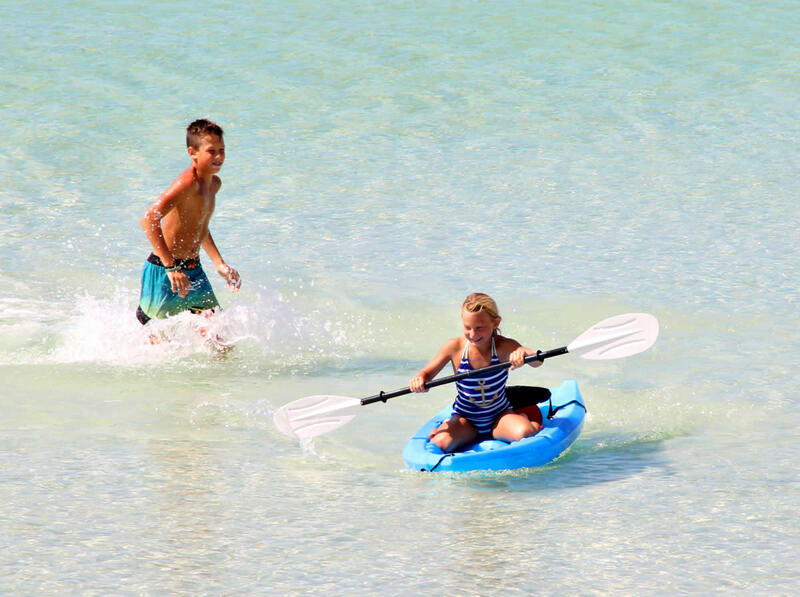 The shuttle allows more beach time on Shell Island and less ride time. 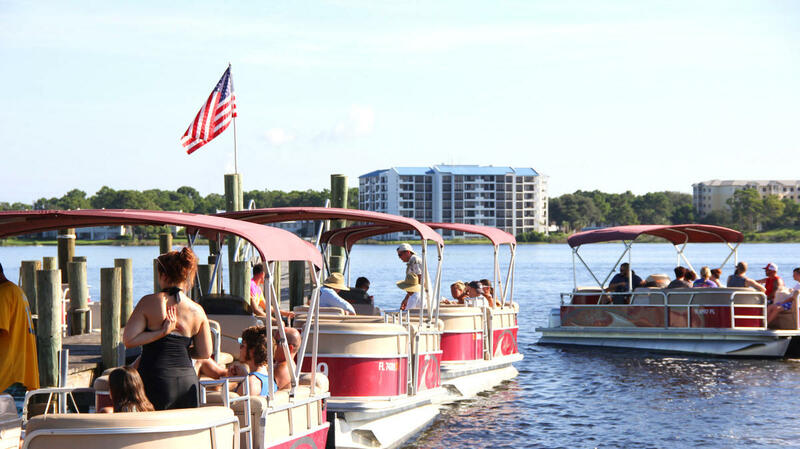 The Shell Island Shuttle will do all the driving for you. 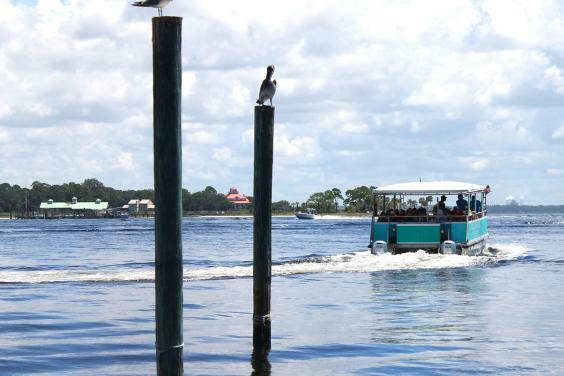 You can just sit back enjoy the ride over to Shell Island and be on the look out for dolphins on the way. 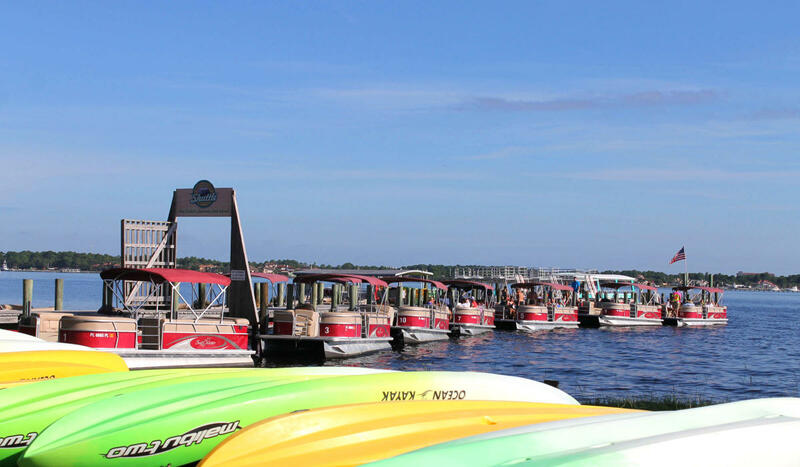 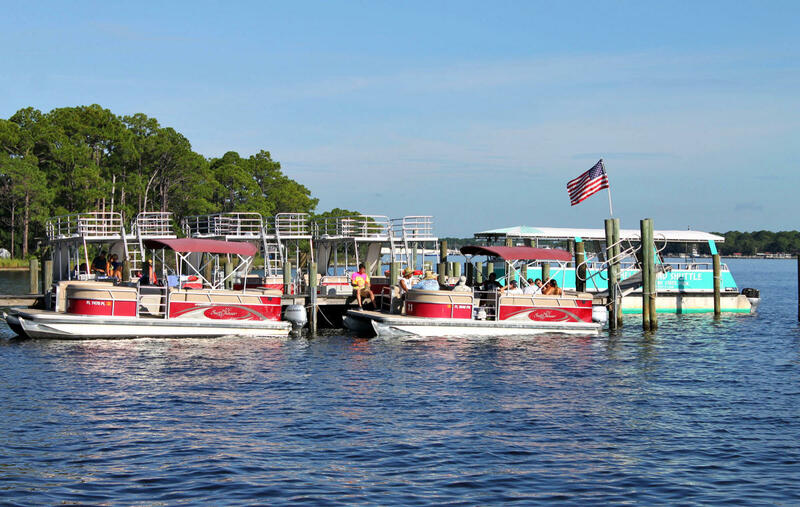 There is a concession boat available on the island from Memorial Day through Labor Day. 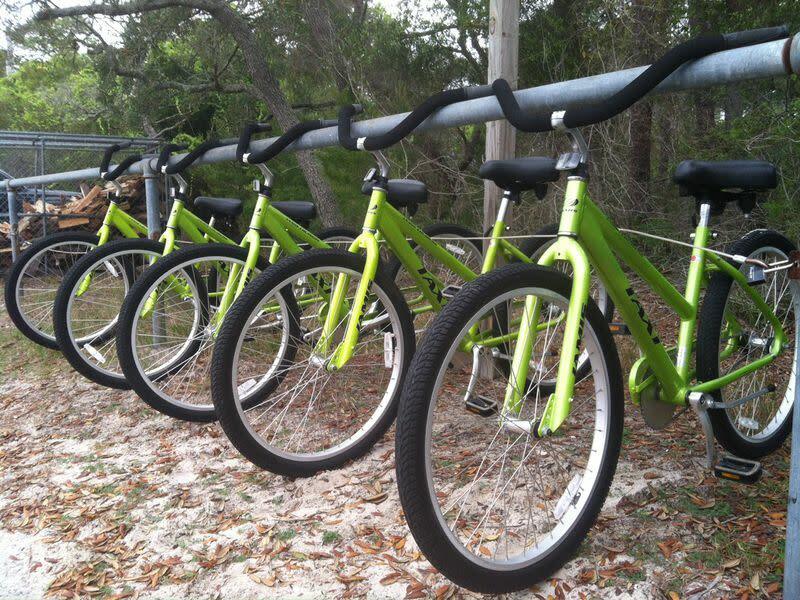 We are the only service offering this facility on the island. Don’t worry if you forgot to pack your beach accessories!!!!! 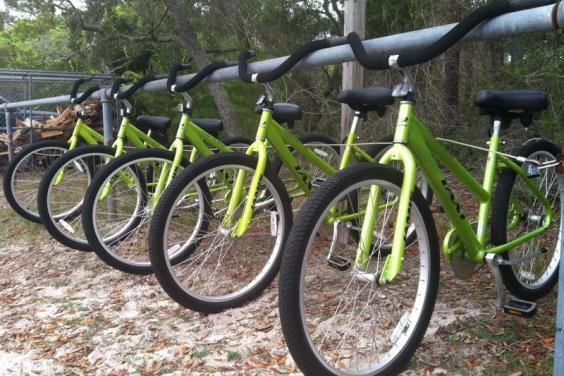 We also have them available for purchase along with sundries and snacks when you buy your tickets. 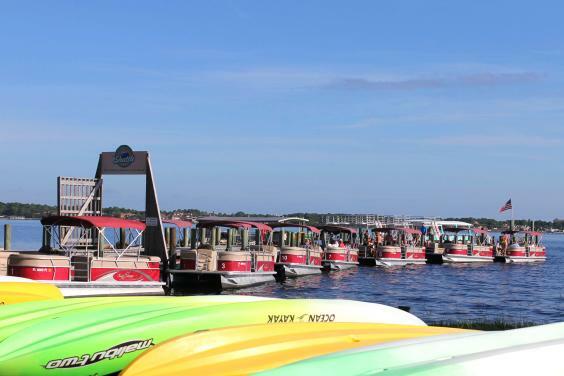 Coolers are welcome! Again, keep in mind that there are no restroom facilities, concession stands, trash receptacles, picnic tables or shade pavilions on Shell Island, so take everything you need, and plan on taking it all back with you as well! 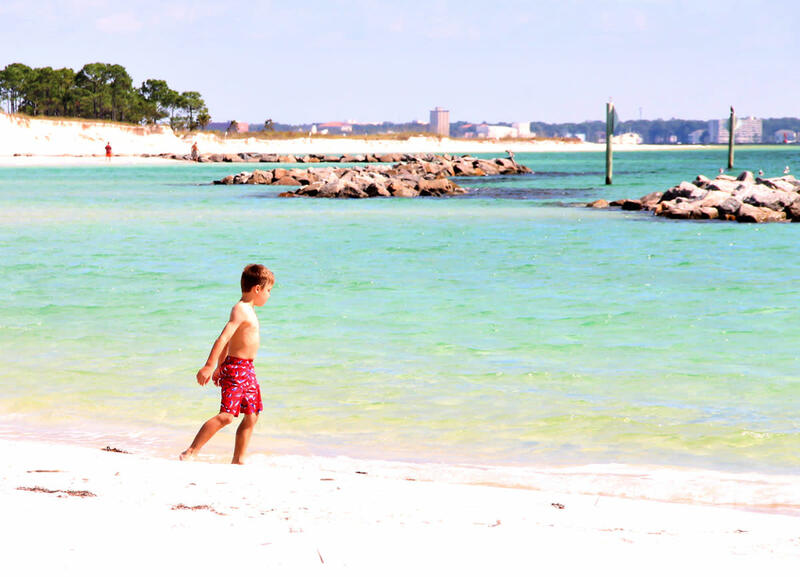 $18.95 Adults – $9.95 Children (12 and under) – Infants free!